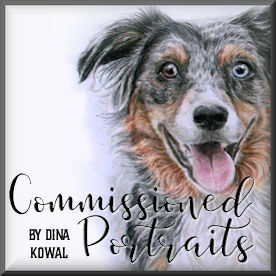 Dina Kowal Creative: new release at ODBD....! 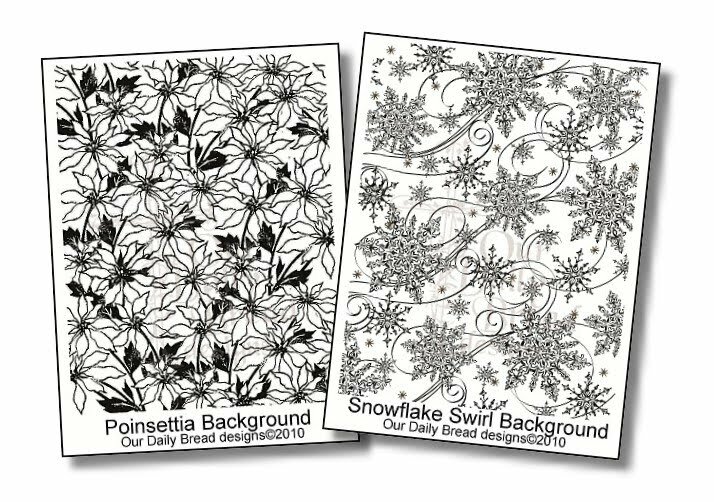 Just wanted to share my two new background stamps that are available at Our Daily Bread designs today! 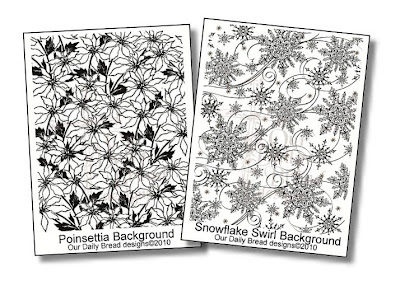 The snowflake background was designed with artwork from previous sets and the poinsettia artwork comes from a vintage Christmas card. 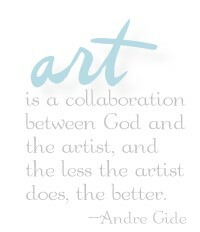 Both stamps are 4.25" x 5.5", just right for a standard card front, and both can be used horizontally or vertically. Be sure to check out the new Christmas tag sets and the coordinating die! Can't wait to play with those. Dina - these are wonderful! Beautiful stamps Dina...they are just great.